It’s going to be a BEAUTIFUL weekend, an early taste of spring. Check out Frozen Dead Guy Days, Jeff and Paige at the Rayback, storytimes, robots and more! All happening this weekend in and around Boulder. The Daily Camera is hosting a FREE Summer Camps & Summer Fun Fair this Saturday! Learn about all the possible camps your children can attend this summer. Free activities for kids, enter to win great prizes. Cost: $15/kid (sibling discount available). Pre-registration is required, click here to register. Mindfulness for Kids classes focus on giving children the tools to learn to stay connected to their inner knowing, understand their personal space and help them connect to what is true and important for them – and let go of what isn’t! Presented in an age appropriate manner, this class will use familiar everyday imagery in fun visualization and meditation exercises, play games, sing songs and create art! Kids will explore their personal space, their energy, their bodies and spirits! Facilitated by Stacia Synnestvedt. Space is limited and fills up quickly, so register early! Cost: FREE, Registration Required. Register here. Build, code, design and discover with science, technology, engineering arts and math. 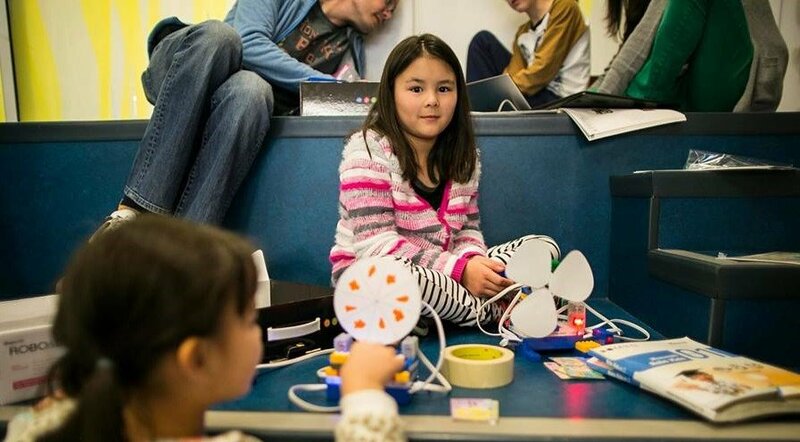 Full STEAM Ahead is a new series at the Boulder Public Library for ages 7-12 on the second and fourth Saturdays during the school year. This Saturday at Lafayette Public Library! Disfrute de cuentos tradicionales y música de América Latina (bilingüe). Enjoy traditional folktales and music from Latin America (bilingual). All ages welcome. Come dance with BoldeReach! BoldeReach is a community of women who work to enrich the lives of women and children in extreme need. This year we are raising funds for Pathfinder Center, the only Native American-run safehouse for trafficked women. Have fun, dance and do good! Enjoy an hour long class taught by Ayre creator, Juliet Seskind. All ages, dance levels and abilities welcome. Check out the super fun PAWS to Read program this weekend at the Lafayette Public Library! Kids ages 5-10: Spend 15 minutes reading to a special therapy dog! They are cuddly, good listeners who would love to hear your stories. Help Longmont Recreation Services celebrate the end of a great winter season at the Longmont Ice Pavilion, for the annual March Meltdown. Enjoy ice skating, ice painting and free ice cream while supplies last. Regular admittance fees apply.